Stacia is up to date on shots and spayed. 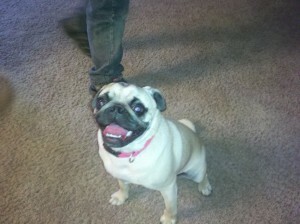 She needs to be in a home with another pug and a yard! Can’t wait for an update on the foster home!